Un-retouched Before & After Photos! 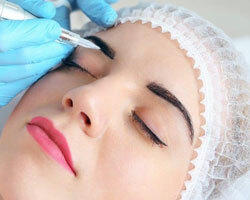 Have your cosmetic permanent makeup performed by a licensed professional. 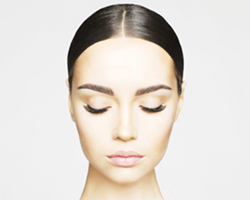 World class Brow Microblading Expert, Louisa Graves can help define, reshape and restore the look thin, sparse, over-tweezed or non-existent brows (Alopecia) with microblading, a permanent makeup technique. Louisa collaborates with each individual client to create a complimentary brow shape as well as customizes the perfect brow color to suit your skin tone, hair color and facial features. This is why she is one of THE most sought-after microblading experts in the country!She also does permanent makeup for lips. Movie stars, models, moms, and busy professionals travel to Los Angeles from all over the world for Louisa’s artistry. Wake up to perfectly natural-looking brows every day! 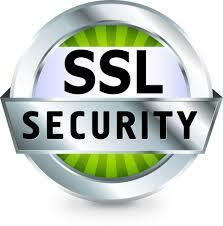 See testimonials here. Remarkably, Louisa’s prices are extremely affordable. “It’s my mission to help all women (no matter what their budget) to look and feel their best. Louisa’s prices range from $499 to $699 for brows and $699 to $799 for lips. 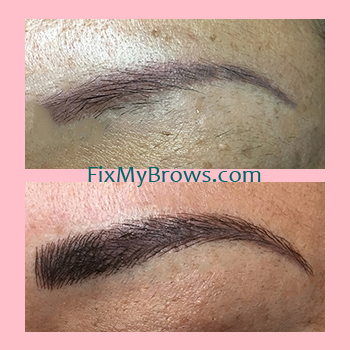 Simply text a photo of your bare brows or lips and name to 1-310-990-2704 to get a quote and schedule your appointment with Louisa in Los Angeles, CA. See page 1 of Louisa’s EyeBrow microblading photo gallery here. See page 2 of Louisa’s Eyebrow Microblading photo gallery here. We also do amazing lips. Our permanent makeup technique adds more fullness to thinning lips, helps even the shape of lips or redefines and enlarge the lips so they look fuller and more youthful. We offer a variety of healthy lip colors from fleshy/berry and pinks to red pigments that last for years. Visit my Photo Gallery to view Before and After Shots of Brows and Lips. Below, I have revealed my credentials, my techniques and inks, so you can feel rest assured about your treatment. * I am a registered body art practitioner and a fully licensed, and certified Permanent Makeup Artist. * I am highly qualified and trained and hold certification in Advanced Correction & Camouflage as well as Advanced Permanent Cosmetic Makeup including microblading (aka microstroke, featherstroke or 3D stroke) techniques. Read more about these two techniques below. 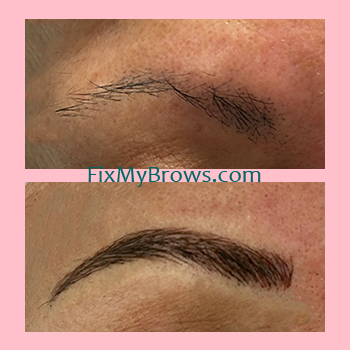 * I use a specialized hand tool and premium grade microbalding needles for a superior microblading/microstroke technique that offers real-looking hair strokes for elegant and more real and modern-looking brows. Microblading is without a doubt, the most authentic and natural method of achieving natural-looking brows. This technique is used by the best permanent makeup artists in the world. For lips, I use a state-of-the art rotary machine which is gentle, quiet and offers pre-sterilized parts and disposable needles. The rotary machine is best for acheiving fuller, redefined lips. Both techniques are available at two locations; in Los Angeles/Marina del Rey and Brentwood, CA. Text a photo of your brows or lips to Louisa at 310-990-2704 to schedule an appointment. Include your name too. Thanks. NOTE: A 48 hour cancellation policy is required. * I hold a Public Health Certificate of Registration, and a certificate for proper handling and disposal of Blood Borne Pathogens. 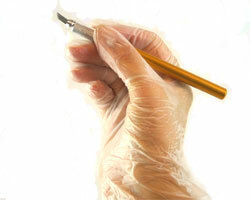 I follow all OSHA (Occupational Safety and Health Administration) guidelines, according to The Centers for Disease Control (CDC).
.* For your safety, I use only sterilized equipment and disposable needles, and high quality, premium grade USA-made pigments that are both hypo-allergenic and FDA-Approved. Need Amazing Skin Care Products at Great Prices? 2019 FixMyBrows.com. All rights reserved.